What Are The Motorcycle Helmet Laws In Massachusetts & Rhode Island? Massachusetts and Rhode Island have some of the most beautiful places in New England to take the motorcycle out for a cruise. Historic Route 6 starts right here in Massachusetts and features beautiful landscapes and landmarks throughout Cape Cod, Dartmouth and Rhode Island before heading onward eventually to reach California. With the freedom of riding a motorcycle comes a responsibility for safety. The roads are filled with distracted drivers and motorcycles accidents are all too common. When in a collision, a motorcyclist is far more likely to suffer severe catastrophic personal injury or possibly accidental death. So whether you’re heading out for a day’s journey or just cruising over to Handy Hill for an ice cream on your way to Horseneck Beach, wearing a motorcycle helmet can make the difference between life and death. Head injuries are the leading cause of motorcycle accident related deaths. When you look at the statistics it really doesn’t make much sense to forgo wearing a helmet. Riding safe begins with the right safety equipment. It’s always advisable to wear your helmet regardless of which state you’re riding in, but the laws do vary from state to state. 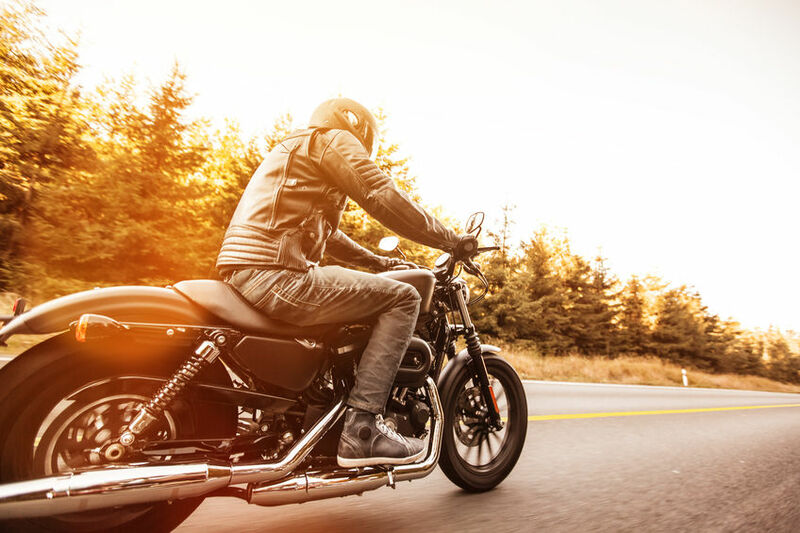 If you or a loved one have been the victim of any type of a motorcycle accident due to the negligence of a distracted driver, contact us to speak one of our experienced attorneys. We’ll help you to get the settlement that you deserve to help you and your family to move on after your accident. *The above is not to be considered as legal advice. Every case is different and the laws which apply may differ from state to state.